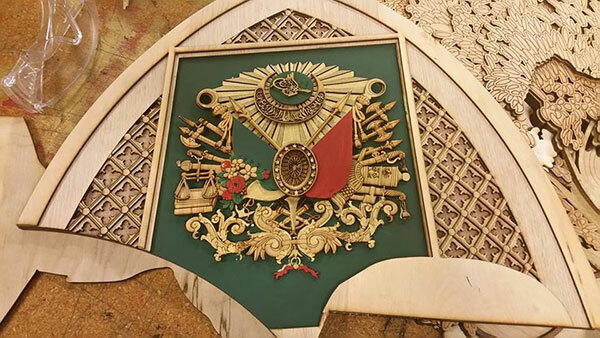 This intricate piece of design work is an iteration of the Great Seal over the North Entrance to the Grand Bazaar in Instanbul! The insane level of detail that went into the piece was downright carpal tunnel inducing. It was finished with flat green paint as the background and a high density golden metallic paint for the raised finish.